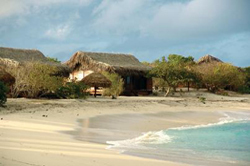 The Quirimbas Islands hotels, accommodation and places to stay. Guide to where to visit and where to stay in The Quirimbas Islands Mozambique. 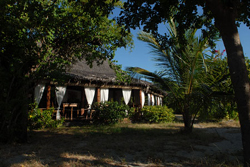 Information on The Quirimbas Islands Mozambique, location of hotels, lodges, camp sites, guest houses, bed and breakfasts and places to stay in the The Quirimbas Islands area of Mozambique. Distances from major attractions to The Quirimbas Islands and information about shops, fuel and facilities. 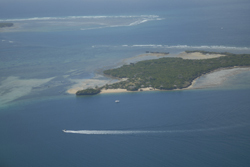 The Quirimbas Island Archipelago lies in the Indian Ocean off the northern shore of Mozambique. 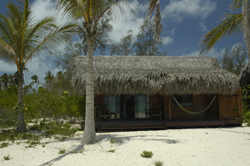 Most of the Quirimbas Islands are small and boast stunning beaches and wonderful warm clear Indian Ocean settings. 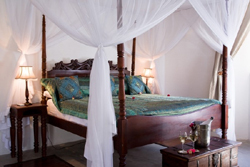 The lodges on the Mozambique Quirimbas islands cater for all your needs with luxury and comfort added to the stunning Indian Ocean Island location. There are several Lodges in the Quirimbas Islands each island lodge has its own character and there is only one lodge per Quirimbas island. The Quirimbas Archipelago Islands are the place to forget the world and relax in tranquillity, luxury and comfort in an idyllic setting off the coast of Mozambique. 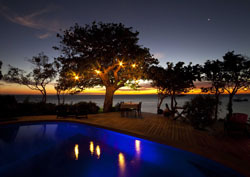 Azura at Quilalea is the second luxury Indian Ocean retreat from Christopher and Stella Bettany. Just as the name suggests, it brings Azura’s trademark African-chic style to Quilalea Island, a private, wholly uninhabited island paradise surrounded by the pristine waters of a marine sanctuary. Ibo Island Lodge encompasses three magnificent mansions each over one hundred years old with walls over a metre thick and lofty high ceilings. Situated within the Quirimbas National Park in the North of Mozambique lies a small tropical island where time stood still. Take an adventurous trip to come and discover the many secrets Ibo island has to offer. Embark on a romantic stroll through the dusty streets of Ibo and admire the remnants of a glory long gone. Will nature win its battle over human settlements or will Ibo be revived once more. Enjoy Cinco Portas’ hidden garden, a true oasis of green and relaxation with a gentle sea breeze to cool you down and a well stocked bar to liven your spirits. Cinco Portas Price Guide: Quarto Colonial Double US$50 Single US$35, Quarto Traditional Double US$60 Single US$45, Quarto Terrace Double US$90 single US$70, Casa Colonial, US$200 (4 person occupancy. Extra person US$25), Casa Veranda US$250 (4 people occupancy. Extra person: US$25), Open Roof Dormitory US$25 per person. There are 27 islands in the Quirimbas Archipelago in the far north of Mozambique, 11 of these quirimbas islands fall under the protection of The Quirimbas National Park which covers an area of over one and a half thousand square meters (1522 sq meters). As well as pristine beaches and exclusive beach resorts the Quirimbas is home to Ibo Island, one of the most ancient settlements in Mozambique, as early as AD600 Arab traders established trading routes with local communities. There are daily shuttles from Pemba to the various islands by plane and/or helicopter which will be arranged when you book. An overnight stop in Pemba may be required depending on your flight times. 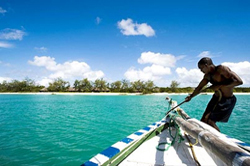 For lodges in the Qurimbas National Park either a boat transfer or road transfer will be arranged from Pemba by the lodge when you make your reservation.